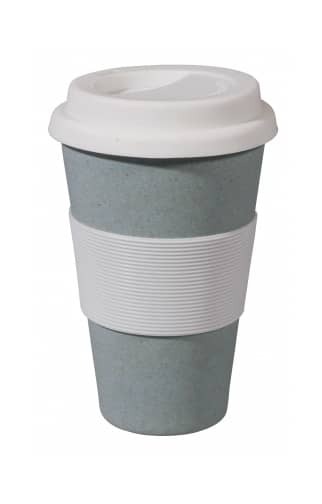 A stylish travel mug with a silicone lid and silicone band to keep your hand cool and a firm grip on your coffee. The cup will not stain and can go in the microwave. Its also really light so once you’ve finished your drink its no problem to slip it into your bag for the rest of your journey.